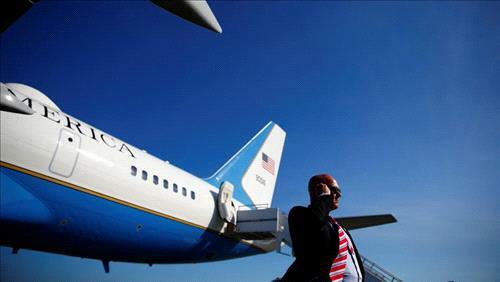 AMMONNEWS - Air Force One’s iconic blue-and-white color scheme may be on the way out. US President Donald Trump has announced plans to repaint the next model of the presidential aircraft. “Red, white and blue,” Trump told CBS News of his plan to have the next version emblazoned with the colors of the American flag. “Air Force One is going to be incredible,” Trump said in the interview with CBS, which took place over the weekend and was aired on Tuesday. US aircraft manufacturer Boeing is to supply the next presidential jetliner, which won’t take to the skies for several years. “Boeing gave us a good deal,” Trump told CBS. “And we were able to take that. Air Force One has featured the blue-and-white color scheme since the administration of president John F. Kennedy.